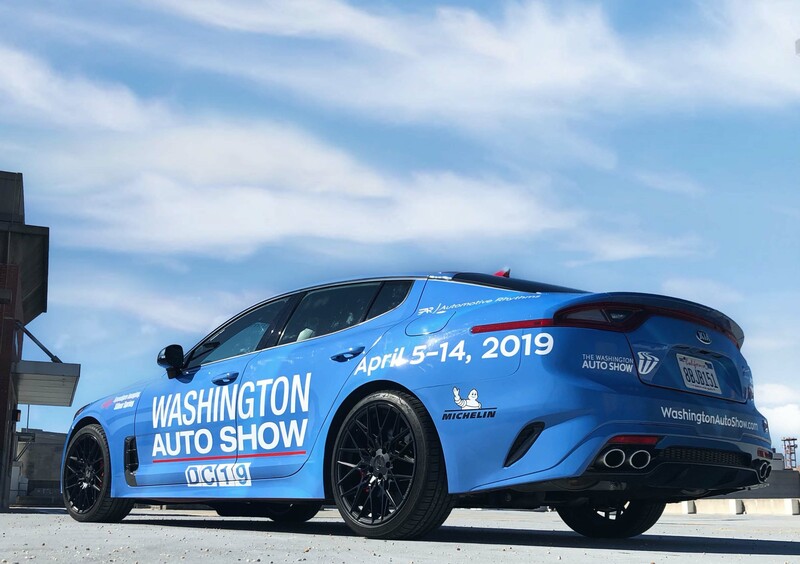 Welcome to Mazda Raceway Laguna Seca in Salinas where you will enjoy the excitement and allure of road running though 11 turns for 2.3 miles on the majestic Central Coast of California. 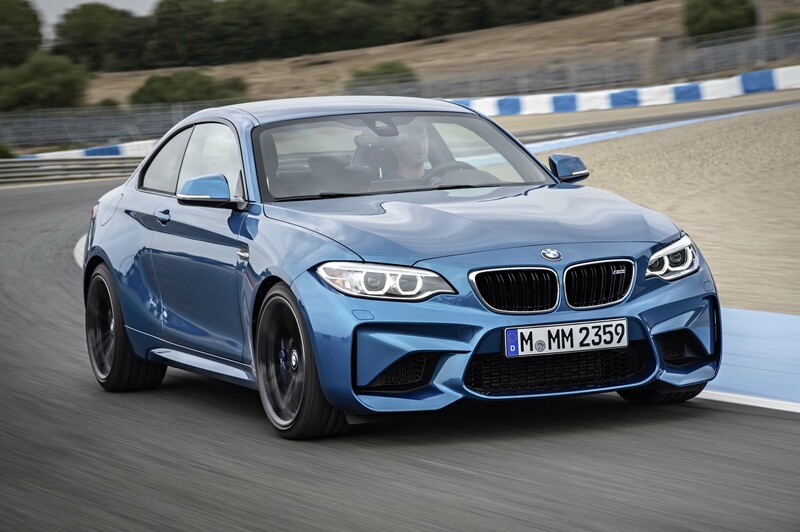 It was particularly a special day since I was presented with the opportunity to thoroughly engage with the all-new 2016 BMW M2 Coupe for a minimum of 8 laps on the exhilarating track in addition to a few hours of scenic driving on Route 1 towards Big Sur. The M brand has been impactful since its inception to help with BMW’s very successful motorsports division. Officially launched in 1972, BMW M GmbH has fused racing technology into emotion to create very alluring street vehicles that perform incredulous on the track and simultaneously civil on public roads. 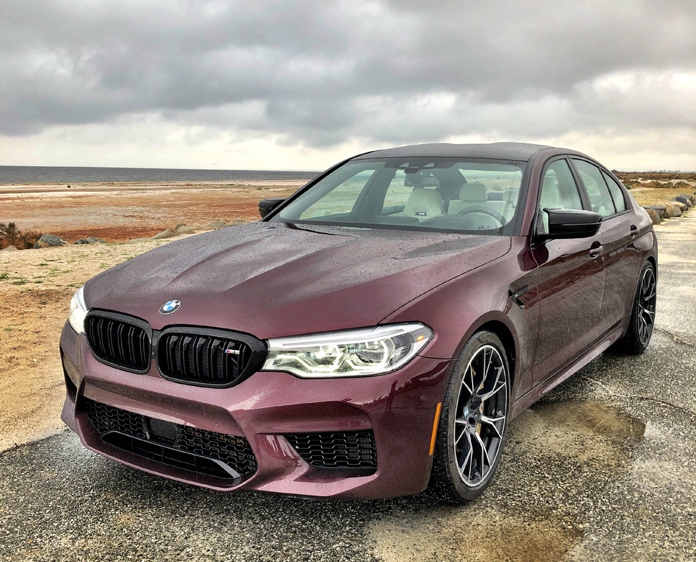 Each year the company sees a dramatic increase in sales as newfangled models continue to be announced such as the stellar 2017 BMW M760i xDrive, which is based off the 6th generation 7 Series with the M Performance TwinPower Turbo 12-cylinder. For example 62,400 M units were sold in 2015, which accounts for a 40% increase from 2014. With the M4 representing as the best selling model, the US is the biggest market for BMW M, where 22,100 units were sold here alone in 2015. Expect those numbers to increase next year now that we have yet another M to the family. In addition, BMW M is now the official vehicle of MotoGP and the BMW M2 is highlighted as the MotoGP safety car. Impressive! Available in April starting at $51,700 (excluding destination), the 2016 BMW M2 Coupe is a throwback to the BMW 2002 Turbo of 1973 and provides BMW M with a youthful consumer entry point into the brand. 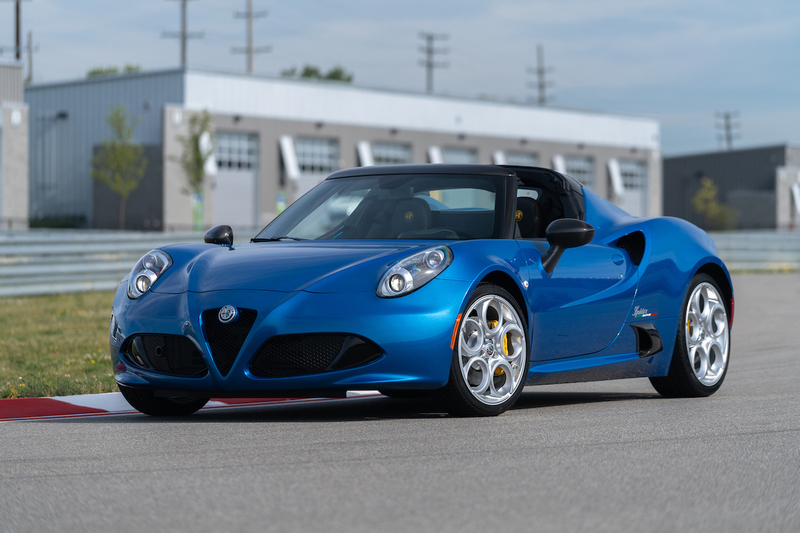 At 42 years of age I certainly felt more like 22 when ripping the Long Beach Blue Metallic (can also choose from Alpine White, Black Sapphire metallic and Mineral Grey metallic), high-performance, compact sports car on the winding 2-lane road between the Santa Lucia Mountains and the Pacific Ocean. Its distinctive M interior with carbon fiber door inlays, blue contrast stitching, sport seats and of course the thick, thumb-indented M sports steering wheel collectively signify the high-level energy the vehicle is capable of releasing. Dynamics, agility and precision are the attributes in a BMW M vehicle and allows for continued performance success and racing achievements. At Nürburgring the M2 Coupe clocked an impressive 7:58 lap time and reaches 0 to 60 mph in 4.2 seconds with the M DCT. The highlight of the car is its new 3-liter 6-cylinder inline engine with M TwinPower Turbo technology. 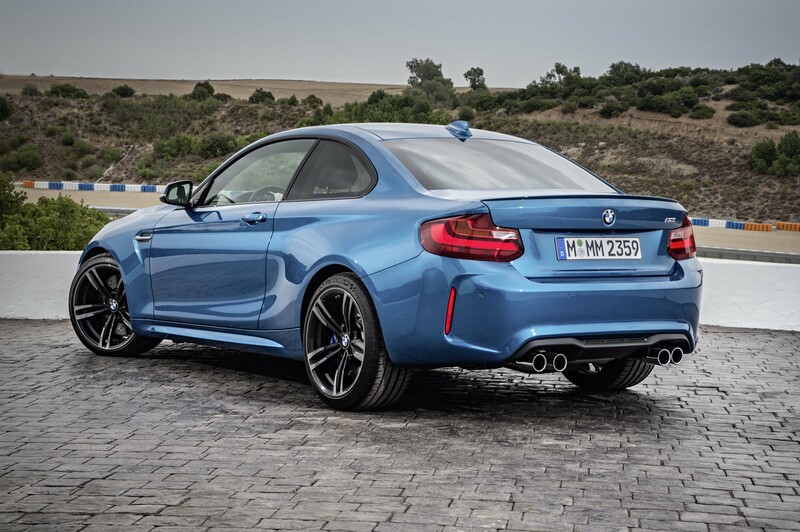 Packing more punch than its replacement BMW 1 M Coupe, the M2 kicks out 365-horsepower and 343 lb.-ft. of torque between 1,400 and 5,560 rpm (369 with overboost). It comes standard with the 6-speed manual transmission, but I am more of a fan of the optional $2,900 M Double-clutch Transmission (M DCT) with Launch Control. On Laguna the M2’s M DCT knew exactly when to upshift and downshift and didn’t miss a beat throughout my lap sessions. Of course you can manually shift the M DCT as well, but it would be best to study the track first for instinctual shift points. 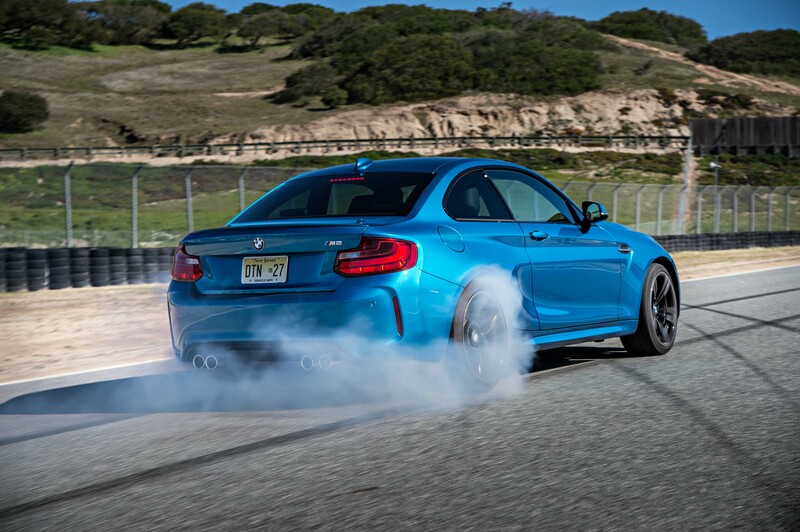 BMW recommended test drivers to set the M2 in SPORT + track mode which turns off traction control for a bit more slip. The downhill chicane was the most riveting driving sequence in my opinion. 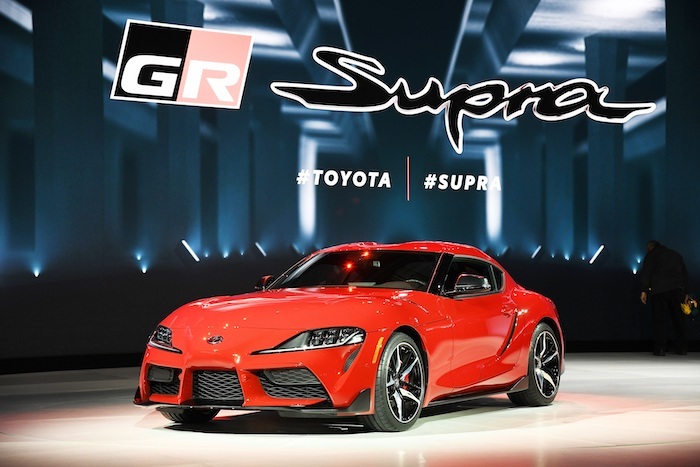 The vehicle was so planted, firm and poignant due to the M2’s wider track, an aluminum M sport chassis, 19” black light-alloy rims wrapped in specialty, staggered Michelin Pilot Super Sport tires (245/35 R19 front and 265/35 R19 rears), 4-piston front and 2-piston rear M compound Brembo brakes (same brake used on the M3 and M4) and an Active M Differential for optimum traction. 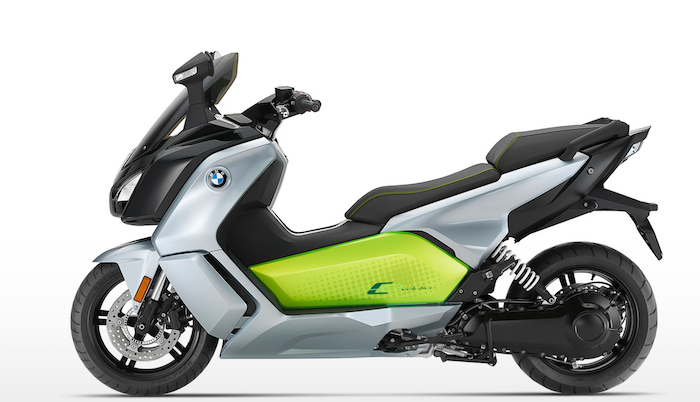 One of the key features is the M exhaust system which provides exhilarating auditory feedback from the quad exhausts tips throughout the entire RPM range due to a distinct flap system. 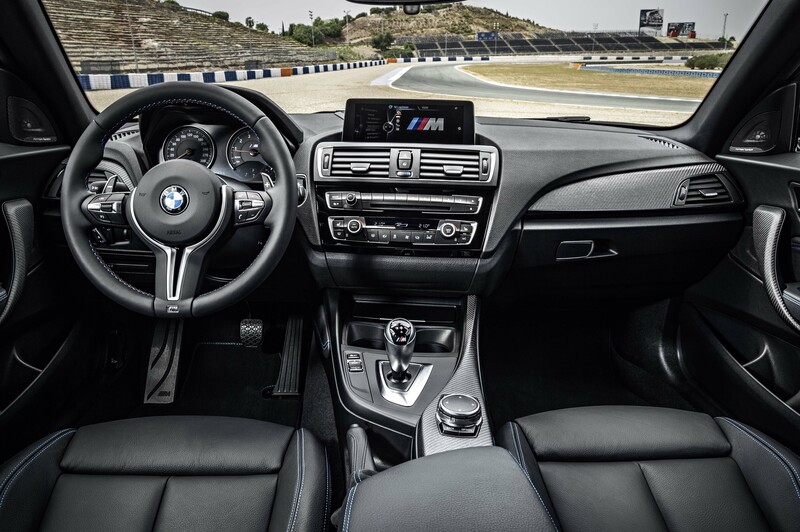 The M DCT’s Drivelogic provides the option of six driving programs with three in automatic and three in manual (COMFORT, SPORT and SPORT+), which are triggered by the Driving Experience Control switch. Then there is the Servotronic function on the Electric Power Steering to adjust the level of steering aid needed based on the M2’s speed. Keep in mind there’s no programmable M1 and M2 buttons since all of the possible algorithms were calculated into the SPORT settings. and Remote Services. 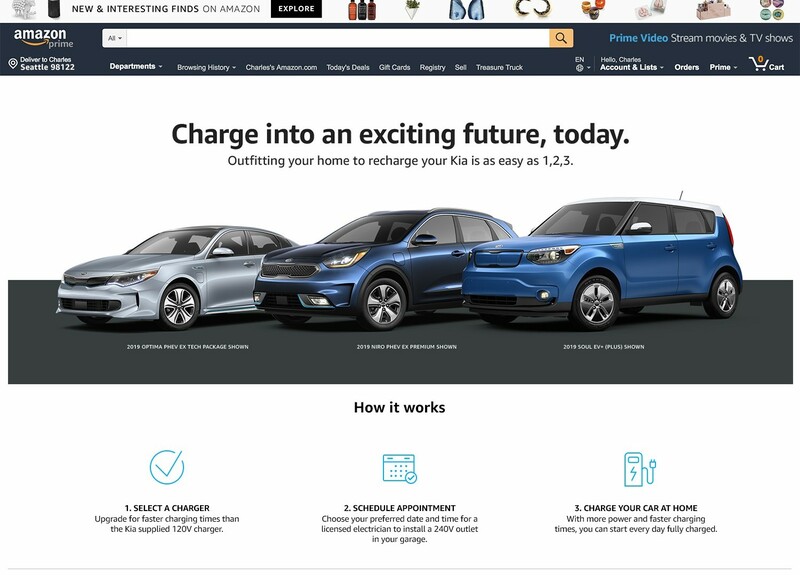 You can interface with facebook and twitter if you so choose, tap into the vehicle’s WiFi or record laps and data through the new GoPro app after syncing your smartphone through Bluetooth. 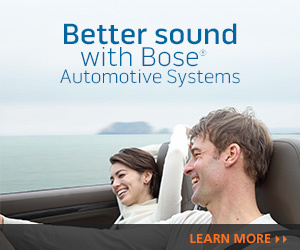 iDrive has always been the number one infotainment system to the Automotive Rhythms media staff. So go ahead and become impactful to your peers by opting for an M2. 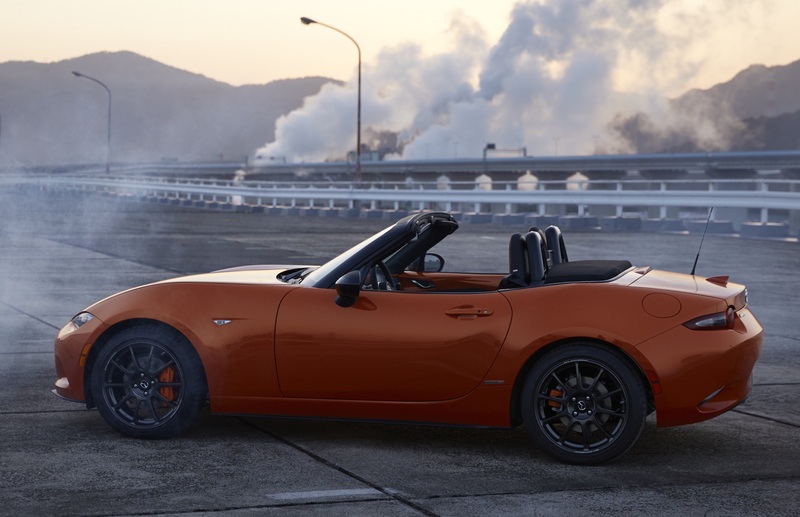 Its chiseled body, aggressive front fascia, large air intakes and menacing rear end will redefine your virtues in life. Trust me!